The start-up CityTaps has just raised 1 million euros and signed, in the wake, a contract with Veolia Africa to develop a large scale new water meter in prepayment. It is to facilitate access to drinking water for home and, perhaps, revolutionise the economic model of the market. The declaration of this French start-up is like a dream: to offer all urban emerging countries access to drinking water at home. By then, CityTaps has taken a big step towards its primary goal: to provide 2 million people by 2022. To do this, it has raised 1 million euros at the end of October, 440,000 of which came from the Global Innovation Fund, a reference fund for innovative social impact projects. For good measure, CityTabs has signed a contract with Veolia Africa that will allow the young company to deploy its revolutionary water meter. CityTaps offers its customers, water operators in developing countries, an unprecedented solution to target urban dwellers who do not yet have access to drinking water at home. Currently present in Senegal and Niger, the company is developing an innovative and unique technology, which could well revolutionise the economic model of water in Africa: a smart water meter, micropayments. Called CTSuite, it is connected to a management software and billing by the Internet of Things. 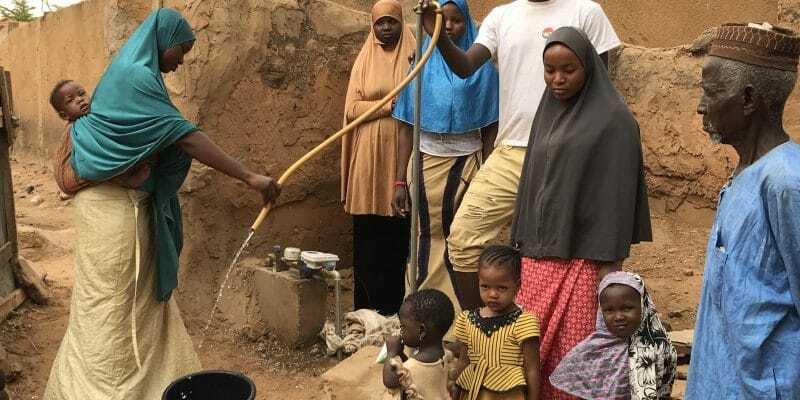 After a first pilot installation phase of 1,325 metres, the Niger Water Company (Seen), a subsidiary of Veolia Africa and CityTaps’s first customer, has just ordered 10,000 CTSuite, in order to extend the project underway, and guarantee access to water at home to around 100,000 people in Niamey, by 2020. To complete the device, Orange-Niger, which has supported the initiative since its inception, provides the means of payment by mobile phone, through Orange Money. According to Grégoire Landel, CEO and founder of CityTaps, the company “is currently in discussion with several water service operators in Africa, Asia and Latin America to launch new pilots in early 2019.” Its goal is “to contribute to SDGs (Sustainable Development Goals) and to enable the billion urban people who do not have access to home water to access it sustainably and at a lower cost”.